Sometimes having a disability in the family means we make that extra effort to get out and have fun. 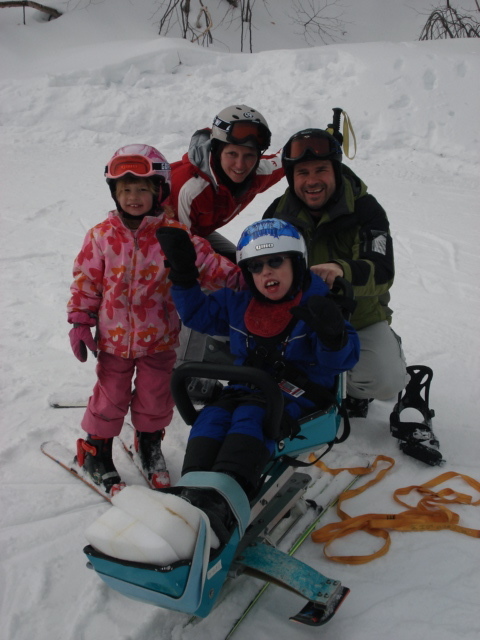 Welcome to disabledfamilies, a blog about the issues facing families with disabled children. From financial considerations, to how to live an active lifestyle, to discussing how to balance raising a disabled child with non-disabled children in the same family, this is a forum to discuss how to make the most of every day for families with disabled kids. What are your biggest challenges? Your triumphs and your heartbreaks? Share your story with us as we continue to learn from our experience. and paragraph is genuinely fruitful for me, keep up posting such content. Thanks for the support. If there any issues of particular interest, let me know and maybe we can get a conversation going on it. where do people go to find out about how to get wheelchair ramps, extra handrails, grab bars, and bathroom accessories installed in their homes? I live in the San Francisco Bay Area and would like to find out more about the subject. Thank you! They are not readily accessible (forgive the pun) but an internet search would be my first step. The other place would be any government agency you might work with. I live in Canada and don’t have much information on how things work in the U.S. Good luck!